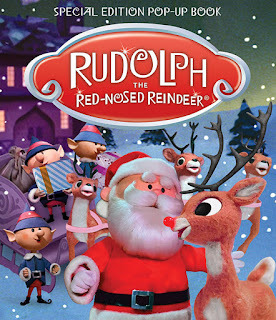 It wouldn't be Christmas at the Rup House if we didn't watch Rudolph the Red-Nosed Reindeer. We are such big fans. We have a set of toys and a set of limited edition stuffed animals that we set out during the holiday season. It is just a wonderful classic that makes Christmas feel like Christmas. We were excited to add new books to our holiday this year. There is also a really cool crochet kit I'm looking forward to trying! 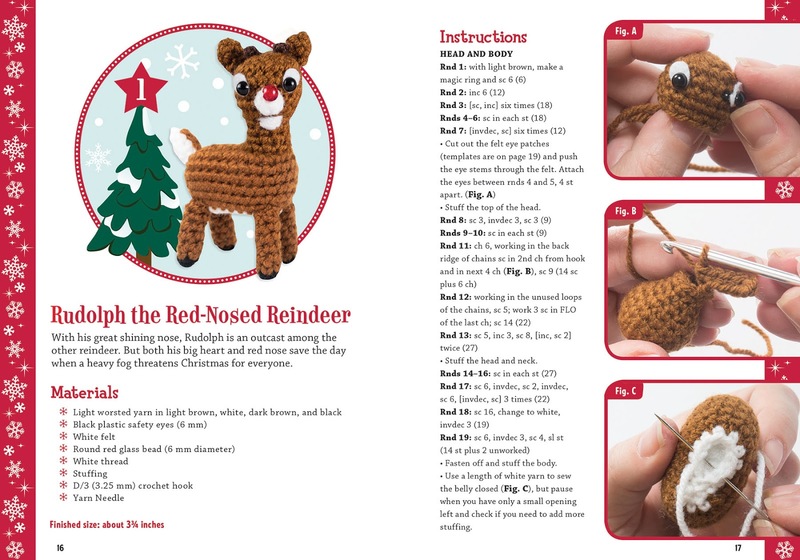 Rudolph the Red-Nosed Reindeer Crochet : From bouncing Bumbles to Yukon gold, you'll love these adorable amigurumi figures from the classic television special Rudolph the Red-Nosed Reindeer! 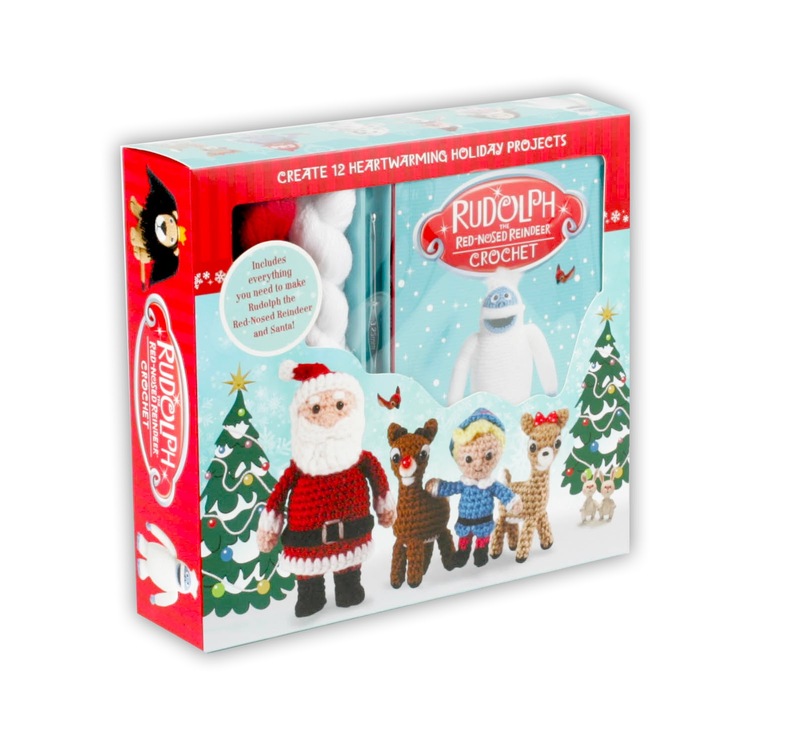 This cheerful kit contains all the materials you'll need to create Rudolph and Santa. Colorful photos and step-by-step directions in the 76-page instruction book will also guide you through crafting the Bumble, Charlie-in-the-Box, Dolly, Spotted Elephant, Hermey, Moonracer, Mrs. Claus, Clarice, Sam the Snowman, and Yukon Cornelius. 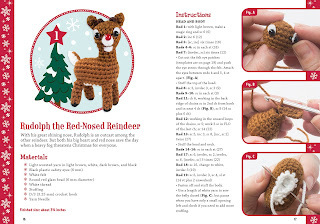 Warm up your crochet hook for this group of charming holiday characters! T.E.A.M. 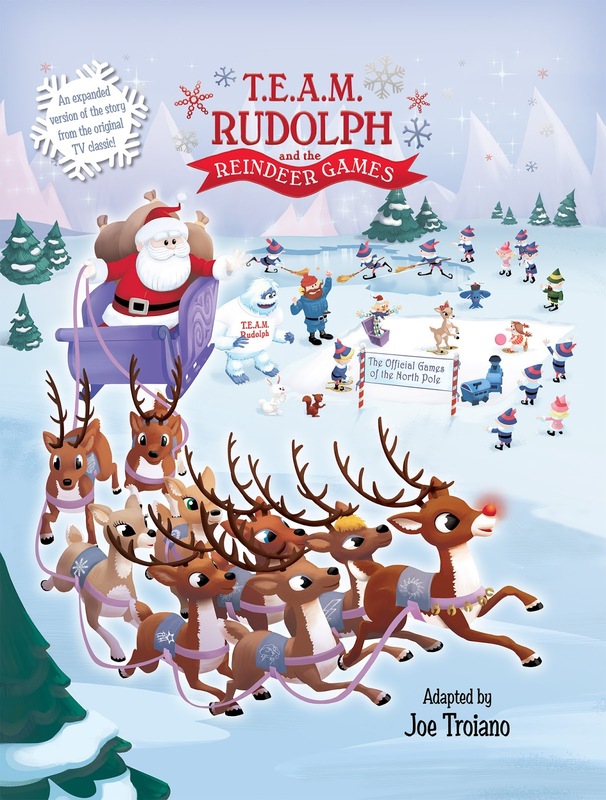 Rudolph and the Reindeer Games : We all recall the most famous reindeer of all. But how much do you know about the story of the Reindeer Games and the other eight reindeer? Well, now you can know the whole story, meet the rest of Santa's trusted reindeer, and learn what it means to be on T.E.A.M. Rudolph! Rudolph the Red-Nosed Reindeer Pop-Up Book : Start a new holiday family reading tradition with this delightful pop-up retelling of the beloved Christmas story. 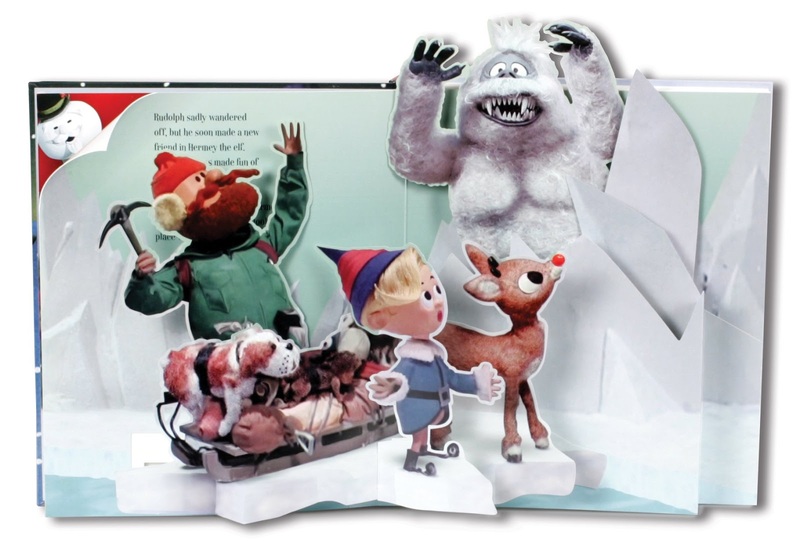 Just in time for its 50th anniversary, Rudolph the Red-Nosed Reindeer is now a stunning pop-up book, a treasure for generations to come. All of the classic characters join Rudolph for his North Pole adventure: Hermey the elf/aspiring dentist, Yukon Cornelius, and the doe-eyed Clarice. The impressive large-scale pop-ups re-create classic scenes using actual movie stills. Fly along with Rudolph, join in the reindeer games, flee from the Abominable Snow Monster, visit the Island of Misfit Toys, and save Christmas one foggy night. Most importantly, be touched by the timeless story of acceptance and the true meaning of the holiday spirit. One lucky reader will win a set of the books in this post! My favorite character in Rudolph is himself- he is the underdog! Favorite character is Santa like the holiday classics. My favorite character from the Rudolph movies is the Bumble. I've always really loved that guy. I like Rudolph because he is cute! My favorite character is Hermey the Misfit Elf. It has to be Rudolph, he's adorable! My favorite Character is Yukon Gold!